Every day, everywhere he goes, he leaves a clue. A crumb. A toy. He marks his territory all day long. I’ve been here. This space is mine. 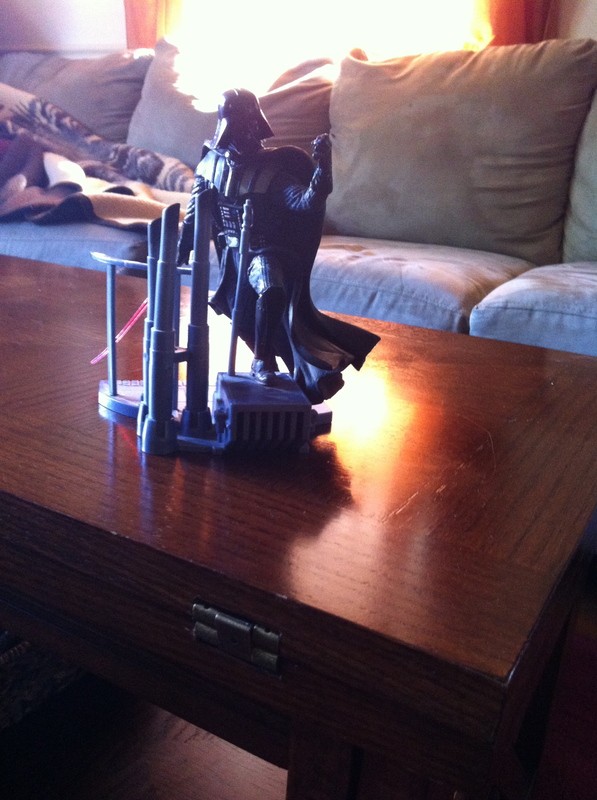 Darth Vadar is always our coffee table centerpiece. 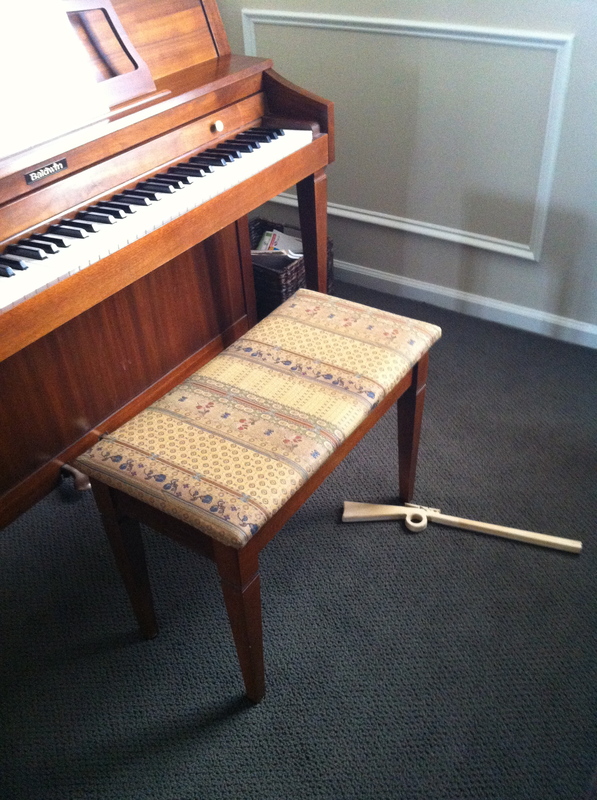 Who needs Pottery Barn. On another note – that’s our favorite blanket in the back. We call it – the tiger blanket. A future post is in the works. 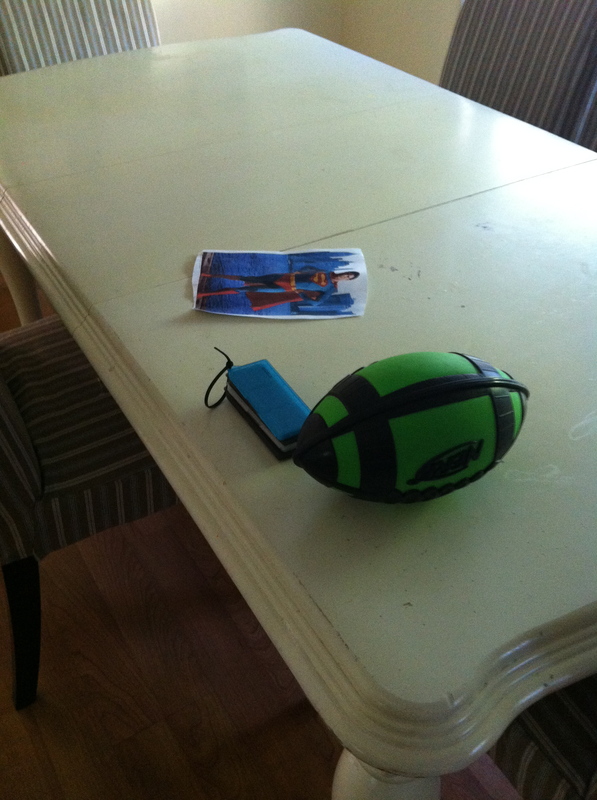 At dinner we move the Nerf football, DS games and random picture of Superman to the side. 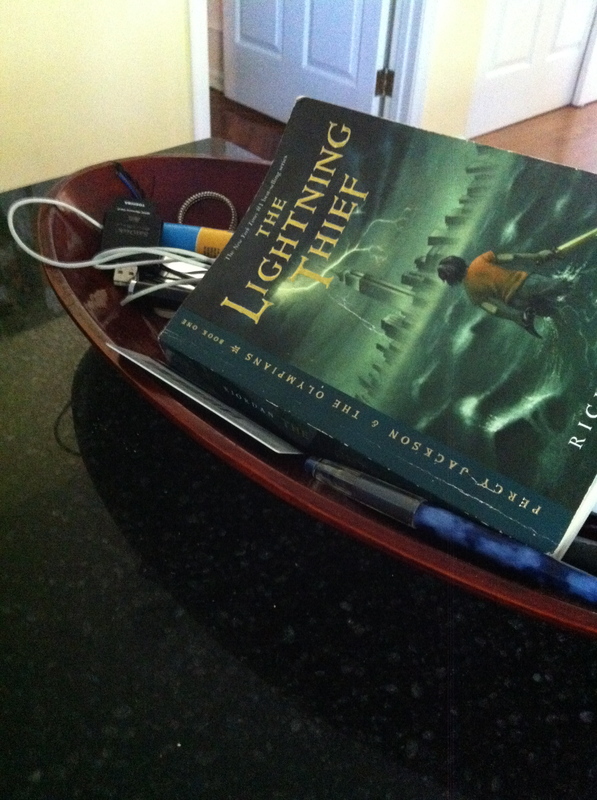 Some light(ning) reading in the kitchen? 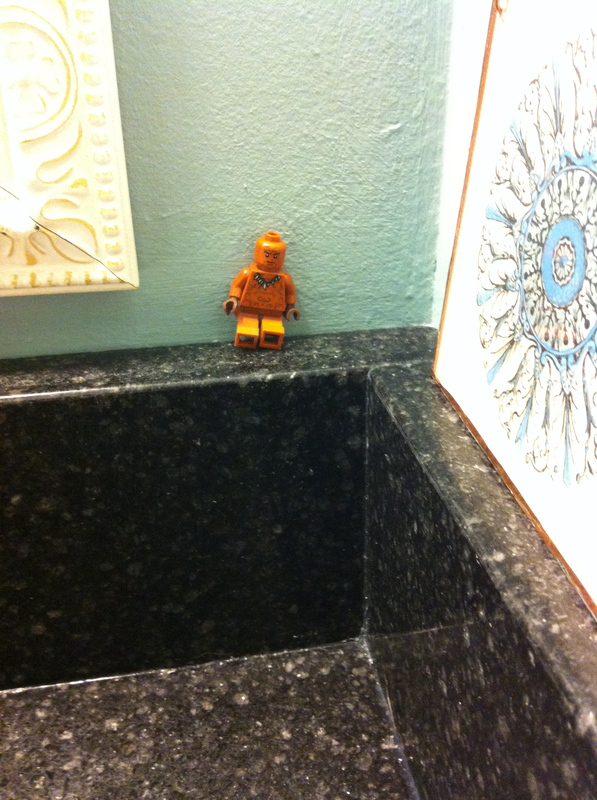 A Lego Cherokee miniature to keep you company in the bathroom. 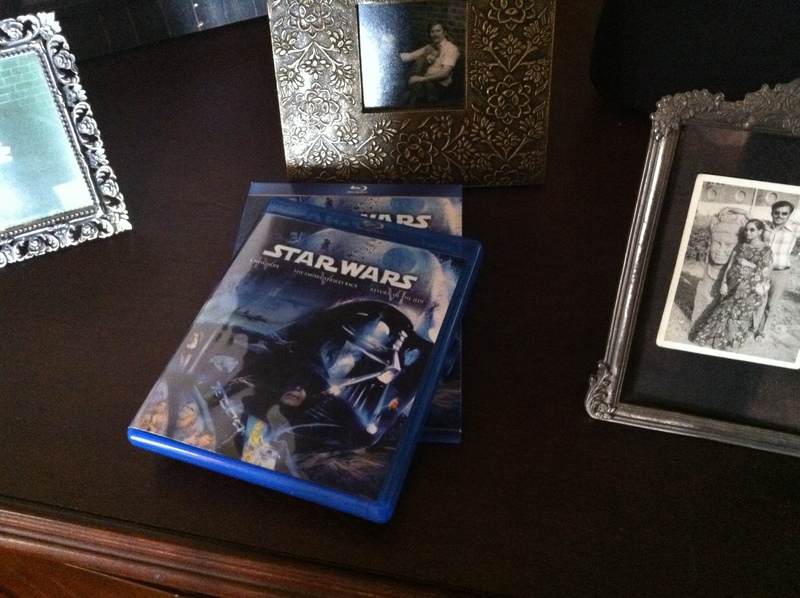 I do make him put his stuff away – but it’s like holding back a dam. The positive? At any given moment I can tell where he’s been and what he’s been doing.